Enrollment By Design, a partner organization of Campus Share, needed a brand image to reflect the innovation they planned to bring to the higher education industry. As a company focused on helping clients develop a design thinking approach to problem solving, they needed to reach an audience that included the highest levels of executive leadership. So Campus Share’s designers focused on specific colors and fonts that artistically speak to that audience as well as present an appropriate image of advanced technology and innovation. And ultimately, we delivered a brand identity package that included logo, business cards, slide deck template, email template, letterhead, and an envelope. The Enrollment By Design Website was one of our most fun challenges. Since the firm would present a design thinking approach to its clients, design of the website needed to be top notch. Employing the colors and fonts developed through the branding efforts, we developed a WordPress site showcasing elegant and futuristic illustrated graphics, with technology and brain-related imagery. 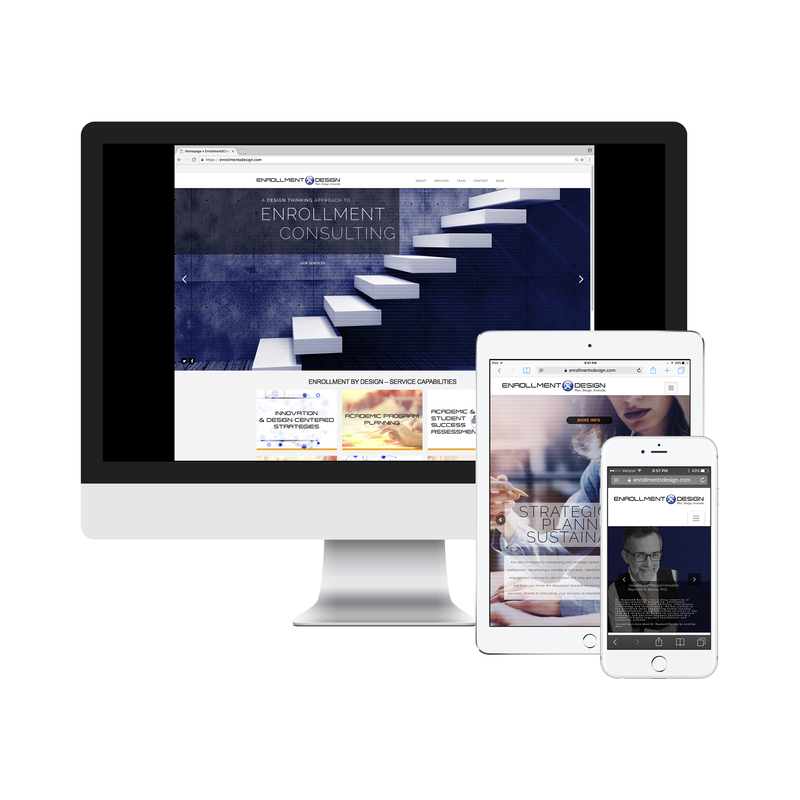 We were able to bring the site to life with custom professional photography showcasing the hard-working, yet relatable personality of Enrollment By Design.